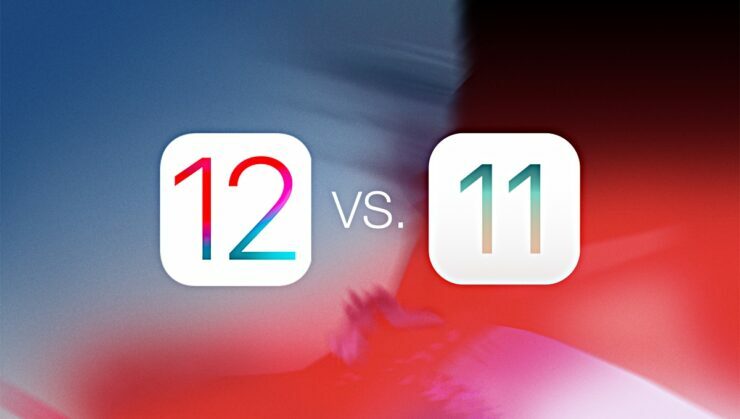 We know what you’re asking already: is iOS 12 GM faster than Apple’s so-yesterday iOS 11.4.1 firmware for iPhone and iPad? This speed test comparison video will answer that. Ever since the #Batterygate controversy and Apple slowing down devices to ensure maximum battery life, the company has been under the radar when it comes to new firmware releases and how it treats aging hardware. In case you don’t know, when the battery of a device starts to degrade, you can expect uncalled-for shutdowns on a device like the iPhone or iPad, and even Android. In order to avoid this issue on the former platform, iOS, Apple throttles devices to a point where you will keep on seeing ‘normal’ battery life, but performance degradation is very evident. So basically, people had no control over how things worked until Battery Health showed up, and ultimately iOS 12, which had big bold claims regarding performance across the board. We are going to focus on that ‘performance’ bit today and see whether or not iOS 12 lives up to its claim of offering faster performance on older hardware. This is done by comparing the iOS 12 GM build with the current publicly available firmware build that is iOS 11.4.1. The test was carried out by iAppleBytes over at YouTube on a wide range of devices including the iPhone 5s, iPhone 6, iPhone 6s, the iPad Air etc. Let’s just skip to the exciting part and see whether or not iOS 12 is worth it on an older device running iOS 11.4.1. Well, as you can see, the performance improvements on iOS 12 GM are definitely there. But remember one thing: iOS 12 is not available publicly at the time of writing. There is a possibility that Apple might actually end up pushing out a small update to the firmware before releasing it next Monday which will further enhance performance to some extent. But, you as a user, what do you think? Do you think iOS 12 is going to be worth the upgrade? Having spent 48 hours with an iPhone X running iOS 12 GM, I have to admit that things are very snappy for me. That’s on very recent hardware, though.